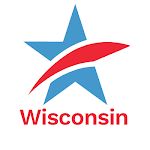 Campaign finance and political reform has been a major focus in the Wisconsin Legislature and in the media over the last six months -- and with good reason. While these attempts to preserve the corrupt status quo are troubling, momentum remains on the side of continued, meaningful campaign finance reform in Wisconsin. On January 19th, the State Senate passed a bill that would require the disclosure of the donors and regulation of the money utilized by outside special interest groups running widely-disseminated campaign communications masquerading as issue advocacy 60 days or less prior to an election. Senate Bill 43 (SB43) was passed by an overwhelming, bipartisan 26 to 7 margin. But then, on January 21st -- just two days after SB43 passed in the State Senate -- the U.S. Supreme Court issued a shocking, bitterly divided 5-4 decision in the landmark case: Citizens United v. Federal Election Commission. The Court's decision -- reversing over 100 years of settled law -- equated corporations and outside interest groups with real individuals, and in doing so, gave these entities the ability to directly influence the outcome of elections through unlimited, unregulated campaign spending. How will the Citizens United decision affect Wisconsin? What is the future of the now revised versions of SB43/AB63? Can the "Impartial Justice" Law withstand the lawsuits filed against it? And what other political reforms (including redistricting reform) are needed in Wisconsin? UW-Stevens Point Political Science Professor Dennis Riley will serve as Moderator. Legislators and Reformers to Tackle Political Reform Issues in Stevens Point - Monday, April 12thTweet this!